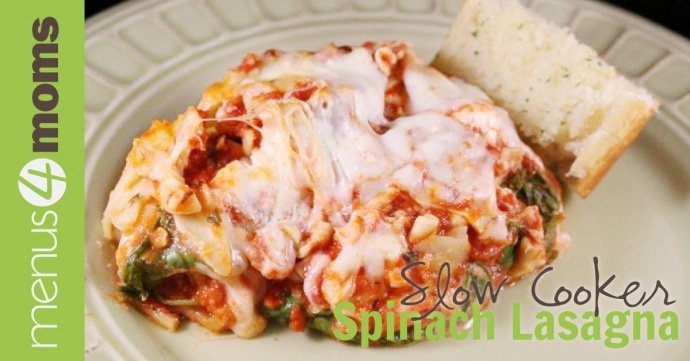 This easy spinach lasagna recipe doesn’t require pre-cooking the noodles, making prep a snap. 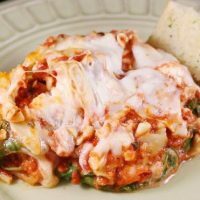 It could be turned into a casserole if you substitute another kind of pasta for the noodles—ziti would work well. Spray bottom and sides of a slow cooker with non-stick spray. Spread a few spoonfuls of sauce on the bottom of slow cooker to avoid noodles sticking. 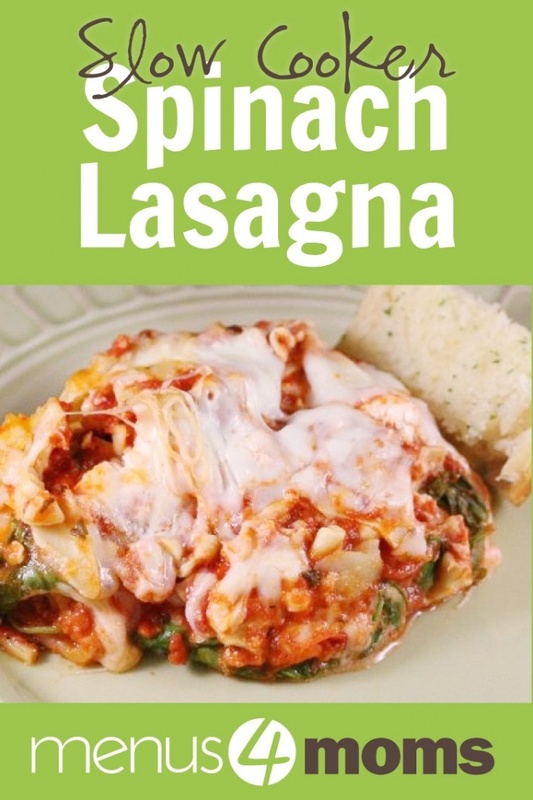 Break uncooked lasagna noodles into pieces; place 1/3 of the broken lasagna noodles in a layer on bottom of the pot. Pour about 1/3 of the sauce evenly over the noodles. Next, place 1/2 of the ricotta and 1/3 of the mozzarella over the sauce. Place 1/2 of the spinach on top of the cheese. Place a few spoonfuls of sauce lightly over the spinach. Repeat the layers starting with the broken noodles, then sauce, cheeses, spinach, and a little more sauce. Finally, layer the last 1/3 of the broken noodle pieces over the top. Cover noodles completely with remaining sauce. Sprinkle remaining mozzarella cheese over the top. Pour water around the edges; cover and cook on low for 3 hours.